Phil Odgers and Paul Simmonds from The Men They Couldn’t Hang have been collaborating on musical projects since 1978 when their Southampton punk group Catch 22 supported The Clash! 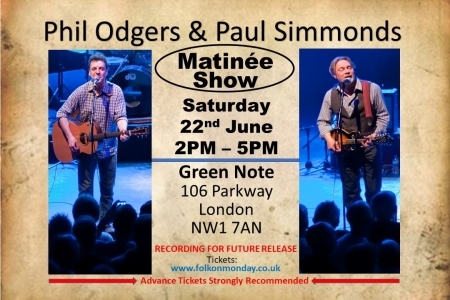 This unique and exclusive matinee performance at Camden Town’s Green Note will look back and forward, across early work, TMTCH rarities, Liberty Cage’s brief but eventful career, solo projects and future plans… plus the gig is being recorded for a future release. Doors open at 2:00pm. Swill and Paul will play 2 x 45 minute sets with the first set starting at 2:30pm.